Do you want more donors? More sponsors? 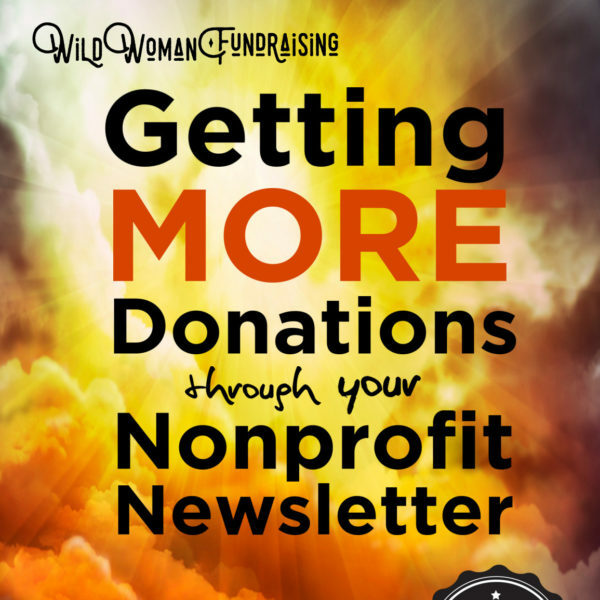 More money for your nonprofit? 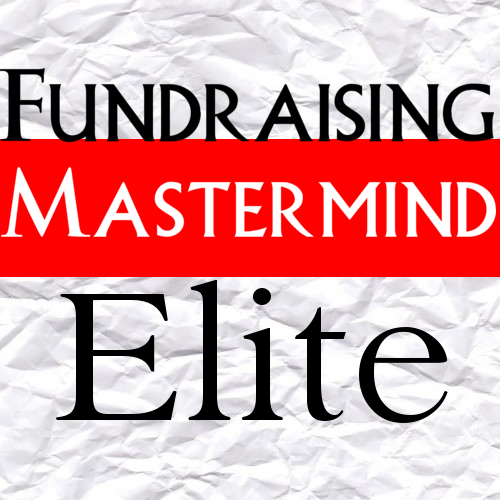 You need to join Fundraising Mastermind Elite. 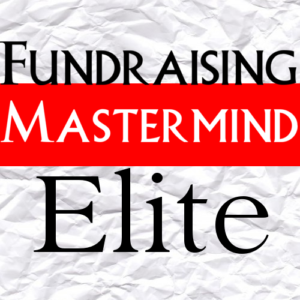 What is the Fundraising Mastermind Elite? Simply a place to gain community, share, learn and grow in your fundraising knowledge to help you meet and exceed your fundraising goals. The Fundraising Mastermind Elite is created specifically for small and mid-size organizations looking to take their fundraising to the next level. Joining Fundraising Mastermind Elite makes SENSE! To get all of my webinars would cost $1,600+. To get all of my e-courses would cost over $1,300. Imagine getting all of this, not including guest webinars and a monthly call with me for only $697! This solution allows you to save thousands of dollars! What results could you get by joining the Fundraising Mastermind Elite? Send out the best appeal letters your organization has ever used, like I did for Meals on Wheels affiliates, and many others. All of this makes you back your investment in just two masterclasses! But you get so much more with Fundraising Mastermind Elite. Sure there’s a lot of material, but is it high quality? Guess what Mazarine? I finished going through all six sessions of your course. Took several hours but it was worth it. You really have a lot of good information in the course. And you lived and breathed what you write about. Not everyone can say that. Sure, you could go to someone else to get fundraising training materials. But the trouble with other programs is that they might be short but incomplete, or long but not entertaining. They might give you a quick look at fundraising methods in a college course, but each one of these courses gives you that deep dive with worksheets and actionable tips you can apply at your nonprofit NOW, today. Each webinar recording delivers the maximum amount of value in the 60-90 minutes. With very little cost and a tremendous return on investment, this is one of the best fundraising programs you will ever find, based on real world experience, that allows you to take action now, gives you ideas and research that other people just don’t have. 41 Fundraising Mastermind Elite Webinar Recordings – all worth over $100 each, with top nonprofit experts from every area of the nonprofit management world. Gail Perry: Making Board Fundraising Fun! 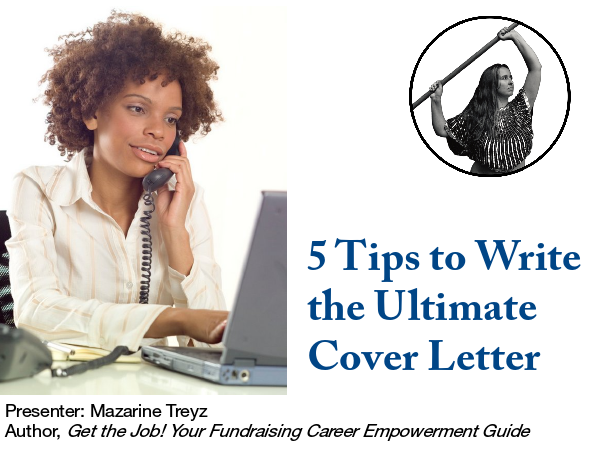 Mazarine Treyz: Create a Better Fundraising Plan-Short and Sweet! Plus all 13 recordings from the Fundraising Career Conference 2015. As you can see, Fundraising Mastermind Elite is a program that’s packed full of value for you and your fundraising team. It’s cheap at the price. This program will give you a leg up on almost any fundraising task you choose to do. I just had to tell you about some successes we have had recently! Last month we mailed out our 1st ever donor survey and had a response rate of about 21%. Not only that, but it brought in over $5000 in donations and we are able to add 50 email addresses (hey, it’s a start), so that we can begin quarterly email newsletters. The survey gave us extremely valuable feedback. This community is for people who are ready to get results. What about the size and mission of the nonprofit? Could I understand where you’re coming from? Are you the founder of your nonprofit? I feel your pain. I’ve co-founded a nonprofit, too. I know how difficult it can be to get a new nonprofit off the ground. And the Fundraising Mastermind Elite can help you create systems to get everything done right the first time. Are you leading an all-volunteer nonprofit? I’ve been there, too. The Fundraising Mastermind Elite can help you navigate getting board members to work, teach your board to fundraise, so that you can build the capacity to get paid staff. Are you in a one-to-three person shop at a small nonprofit? In a one-person shop, I’ve done everything from get $250,000 in sponsorships to $35,000 in appeal returns to $120,000 in grants (over the course of a year, doubling and sometimes tripling previous results) for such diverse causes as; domestic violence, social justice, education, healthcare, arts in healthcare, senior services, classical music, and more. If you want more advice on how to get more done, get more money in a shorter amount of time with a small fundraising shop, the Fundraising Mastermind Elite can help you. I’ve also worked internationally. I know some of the pain of NGOs and raising money for overseas projects. With the Fundraising Mastermind Elite, we can help you make your cause more relevant to people who may never see the project.